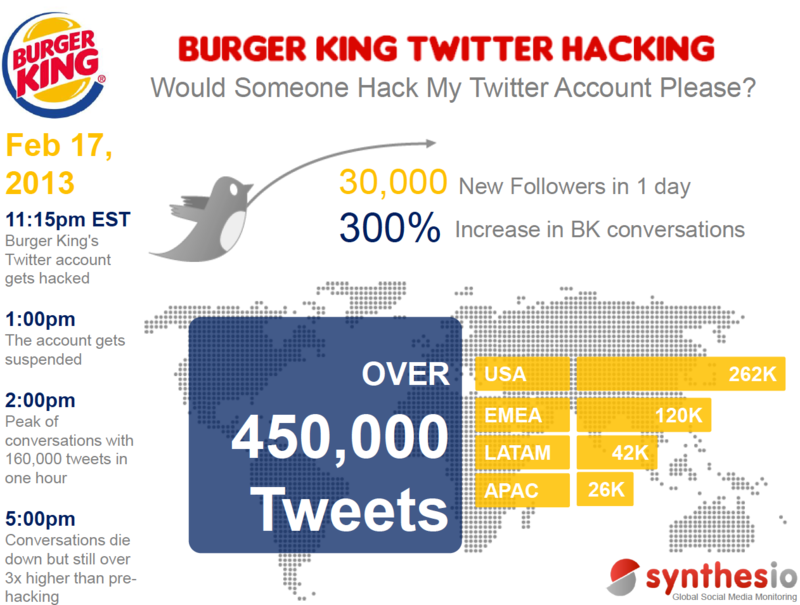 Honestly, we're surprised we haven't been flooded by agencies, metrics companies, social media pundits and research firms shamelessly latching on to Monday's Burger King Twitter hack for a little bit of publicity. But one company jumped on the trendlet. Social media monitoring company Synthesio cobbled together a few stats from Monday's shenanigans. But here's the thing. Where's the stat that says Burger King Realized an X% increase in Whopper sales on Tuesday?